BiomaskTM inactivates 99.99% of tested influenza viruses on 5 minutes contact with the surface of the face mask. 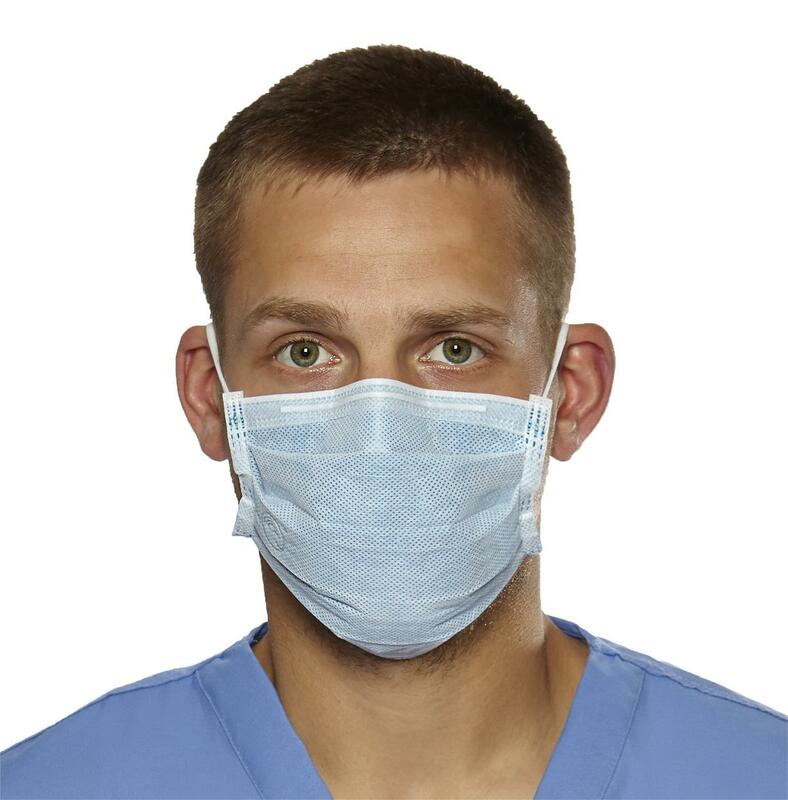 Meets ASTM F2100-07 standard: High Barrier surgical face mask. Available in a convex-shaped mask with ear adjustments and anti-fog nose flap, and universal standard flat mask with pleats. *Mask tested against Human (H1N1), A/Brisbane/59/2007; Human (H1N1), A/Wisconsin/10/98; Human (H1N1), A/New Jersey/8/76; Human (H3N2), A/Brisbane/10/2007; Human (H3N2), A/Wisconsin/67/2005; Human, B/Florida/4/2006; Human B/Lee/40; Pandemic H1N1, A/California/07/09; Human (H2N2), A/2/Japan/305/57; Avian (H5N1), NIBRG-14; Duck (H5N2), A/Duck/PA /10218/84; Avian (H9N2), Turkey/Wisconsin/66; Swine (H1N1), A/Swine/1976/31; Equine (H3N8), A/Equine/2/Miami/63; and Human (H1N1) A/PR/8/34. This mask does not eliminate the risk of contracting any disease or infection.